the proportion of people contracting a disease who die of that disease. 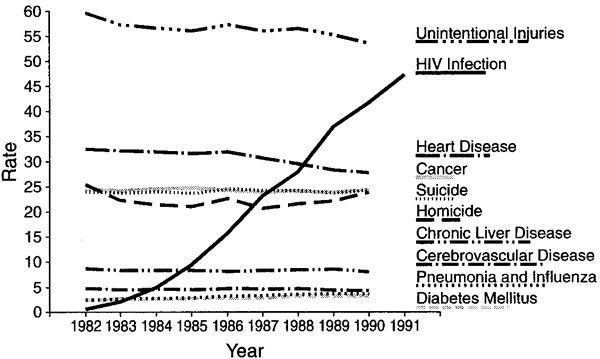 the number of registered deaths caused by any specific disease, expressed as a percentage of the total number of reported cases of a specific disease. Case fatality rates declined in all provinces across all three diseases over the 6 years. Case fatality rates have consistently declined year on year for all three diseases (with the exception of SAM in 2014/15) over the 6 years. As shown in Figs 4-6, case fatality rates have declined in all provinces. For the estimation of case fatality rates, we used the total number of deaths from MD as numerator and the total number of confirmed cases of MD as denominator. However, incidence and case fatality rates of MD remain high with a wide gap in the risk of disease between poor and affluent areas pointing to the need for periodic adjustments and revaluations of the current strategy. Table 1--Incidence, mortality and case fatality rates of meningococcal disease at different times according to sociodemographic and pathogen-related variables. Thus spontaneous intracerebral haemorrhage has high case fatality rate despite modifications in the treatment practices. Previous studies of the incidence of myocardial infarction and case fatality rates have often focused on selected subgroups (e.
Addressing progress in malaria control in recent years, Van den Ende said South Africa was not achieving its targets with regard to cases and case fatality rates (CFRs). Case fatality rates were similar in the two groups, at 6% for ceftriaxone and 5% for chloramphenicol, as were clinical failure rates, which were 3% for ceftriaxone and 4% for chloramphenicol (Lancet 2005;366:308-12). Case fatality rates dropped during the late 1960s in patients who died within 1 month or 1 year of admission to a hospital but then stopped decreasing thereafter and settled at about 7% and 5%, respectively (BMJ 328:1466-69, 2004).